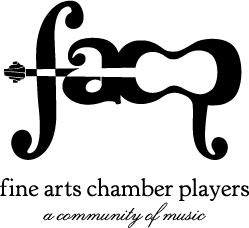 Fine Arts Chamber Players will present the FREE 36th Basically Beethoven Festival on Sunday afternoons in July. Held at the Dallas City Performance Hall in the Dallas Arts District (2520 Flora Street, Dallas 75201), every program boasts a Rising Star Recital at 2:30 pm and a Feature Performance at 3 pm. Doors open at 2 pm. Rising Star Recitals present local, gifted young musicians; Feature Performances showcase professional musicians from the area. All concerts are FREE TO THE PUBLIC. Paid parking is available in surface lots and garages in the Dallas Arts District. Families with children are welcome. Rising Star: Quinlan Facey, piano. Performing Chopin, Rachmaninoff, Ravel, and Prokofiev, Mr. Facey will demonstrate why the Texas Cultural Trust and the Texas Commission on the Arts chose him for the 2016 Class of Texas Young Masters. Named one of the state’s 15 most gifted young artists, he was awarded a two-year scholarship. This clip shows his rendition of Ravel’s Ondine, which is on the July 10 program. Feature Performance: a sextet from across the Dallas-Forth Worth area performs Beethoven, Francaix, and Ligeti. Featuring Molly Norcross, French horn and Peter Unterstein, bassoon, from the Fort Worth Symphony Orchestra; Stephen Ahearn, clarinet, from the Dallas Symphony; Sarah Tran, flute; Paul Lueders, oboe; and pianist John Owings, faculty at Texas Christian University. Rising Star: Alexander Davis-Pegis, cello, plays Debussy’s Cello Sonata. Though not part of the BBF afternoon, this video shows Mr. Davis-Pegis recently tackling Dvorak. Feature Performance: Three pianists, Andre Ponochevny, Cathy Lysinger, and Guest Festival Director and previous BBF artist Alex McDonald, bring to life Copland’s The Cat and the Mouse, Bolcom’s The Serpent’s Kiss, Ravel’s Sad Birds, Saint-Saens’s The Swan, Schubert’s The Crow, Korsakov’s Flight of the Bumblebee, Liszt’s Hungarian Rhapsody No. 2, and Stravinsky. The afternoon will close with a new arrangement by McDonald of Stravinsky’s Firebird for three pianists.